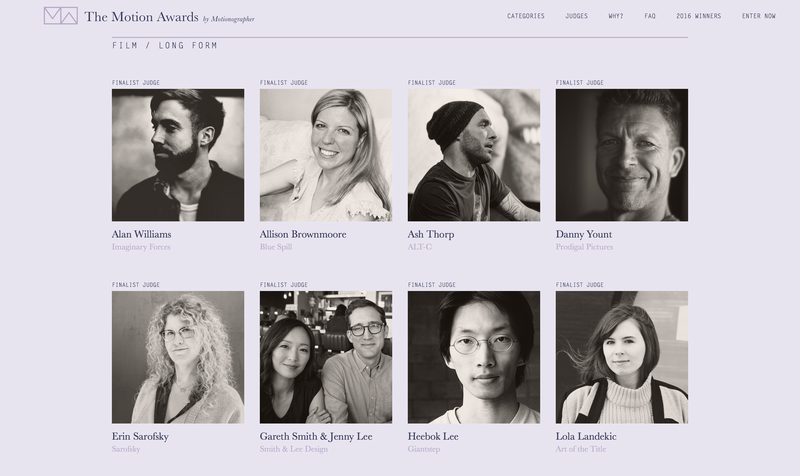 As long time admirers of their renowned site, Allison Brownmoore was very pleased when she was approached by Motionographer.com to judge their annual Motionographer awards. Showcasing some of the best motion talent, the awards cover a broad range of categories from Commercial to Experimental, and Allison will be judging the Film/Long Form category. She’s very much looking forward to being involved, entries close February so head here to check it out!